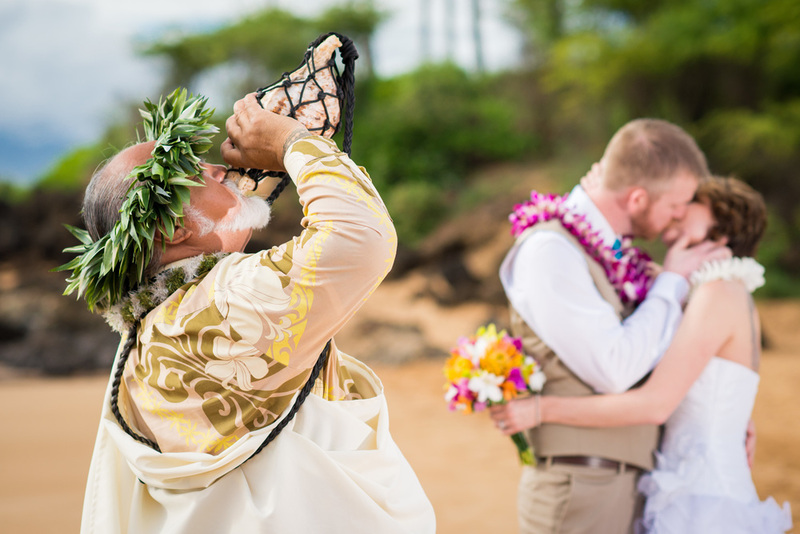 "Providing the best authentic hawaiian wedding experience"
WE CAN HELP YOU WITH JUST A MINISTER, OR A MINISTER AND A FEW PHOTOS, OR A FULL WEDDING! 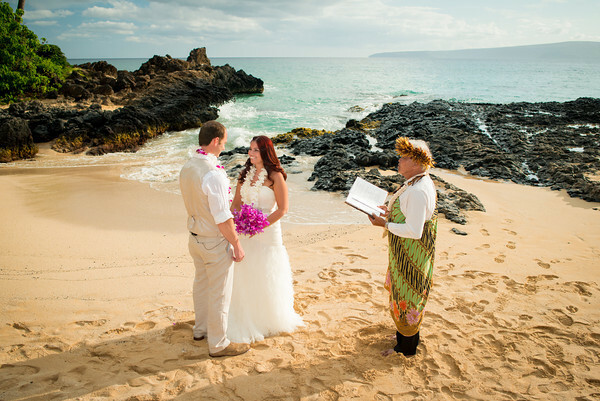 AND WE CAN SHARE OUR 24 YEARS OF MAUI WEDDING EXPERIENCE AND KNOWLEDGE WITH YOU. You have a picture in your mind, images you’ve been thinking of, snippets of weddings you’ve seen and loved. You’ve talked together, planned and dreamed about your wedding over coffee, while doing the dishes and driving to work. Now you’re ready to put your wedding together. Maybe you have never been to Maui, or even Hawaii. You don’t know anyone and there are a hundred wedding websites on the internet. Take a deep breath...relax. You’ve found the right place. We will walk you through each step, taking into account who are you, what you want, what you need and what you would like to remember about your wedding for the rest of your life. We can do as much as you want for your wedding, or as little as you need. Everything is custom, imagine yourself in a wedding candy store, where you can pick and choose as you please. 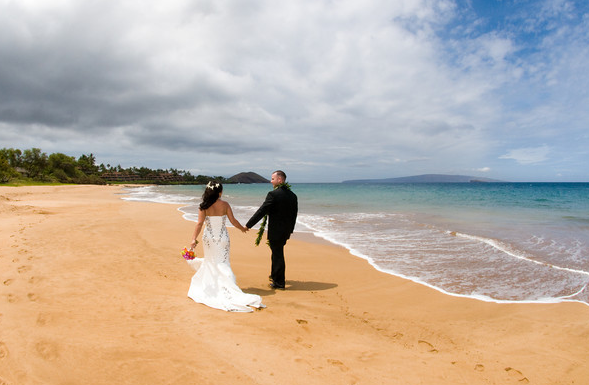 We’ll guide you in logistics, timing, and what works for weddings on Maui. All of our advice and counsel is based on optimizing conditions for the best photo and video memories. We’ll help you make the most of your budget, and where to splurge. We truly love what we do and only work with proven wedding vendors who care about the couples as we do. 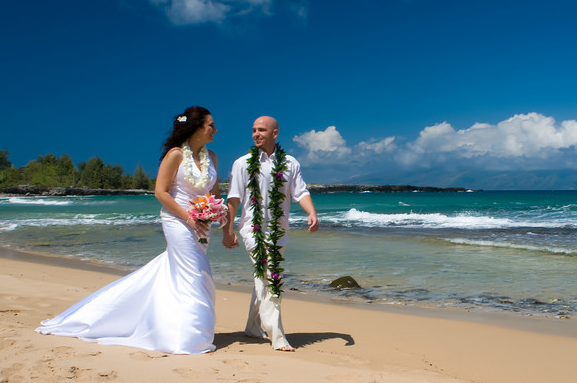 We’ll never try to upsell you services you don’t need, but we will use our 22 years of Maui wedding experience to truly guide you in what you need. An hour of photography won’t work for a wedding with ten guests, but an hour and a half will. We want to make sure you have what you need for your wedding to be perfect. 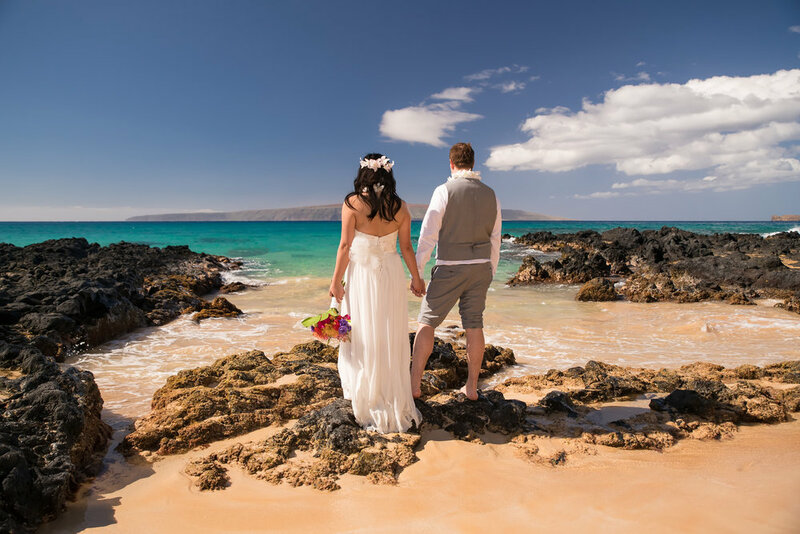 Whether just the couple barefoot on the beach, or 200 guests on a private lawn, Maui has the perfect Maui Wedding Location for you! 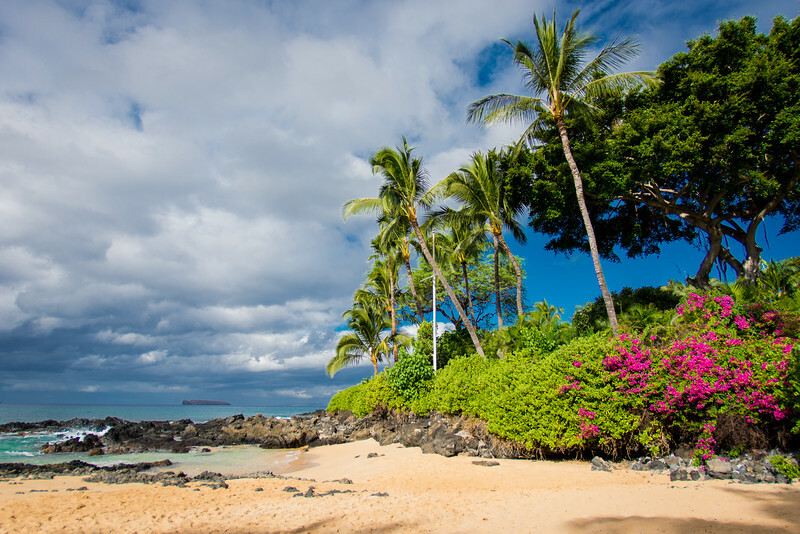 This is a small semi private beach with crashing waves, palm trees, and lots of little nooks and ledges for your intimate Maui wedding ceremony. Usually up to 15 guests is good for the Cove. Poolenalena is a long stretch of soft white sand, with greenery, trees, and natural foliage backgrounds. There are no condos or hotels on this beach. Poolenalena is good for up to 28 guests. 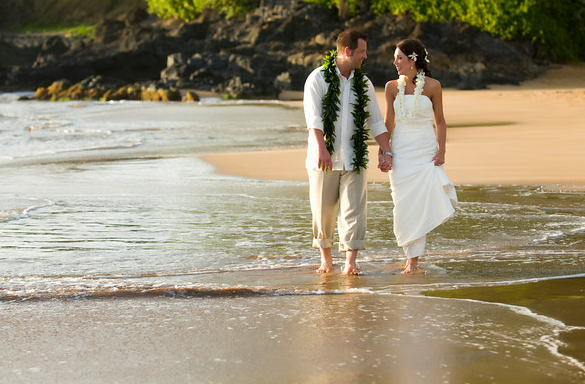 There is a second “secret” beach across a rock pathway for intimate photos after the wedding. DT Fleming beach is a wild, natural beach with a tree shaded “pond” and a small “forest” for weddings. Multiple colored rock formations, pine trees, palm trees and different backgrounds. 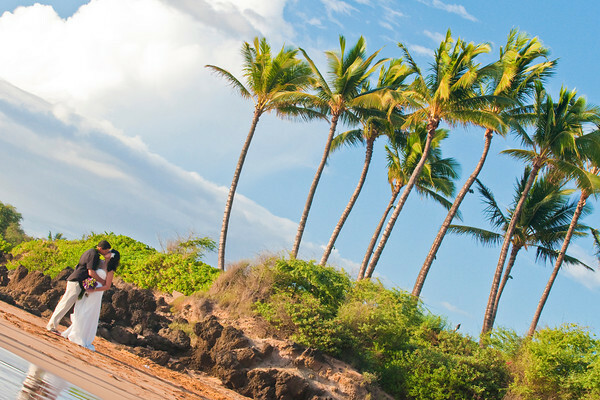 This beach is okay up to 28 guests, located on the Westside near Lahaina and Kaanapali. Mixing fashion, magazine editorial and photojournalism styles, Gordon photographs weddings at all the major resorts. Gordon is trusted by his clients to always raise the bar on his photography. 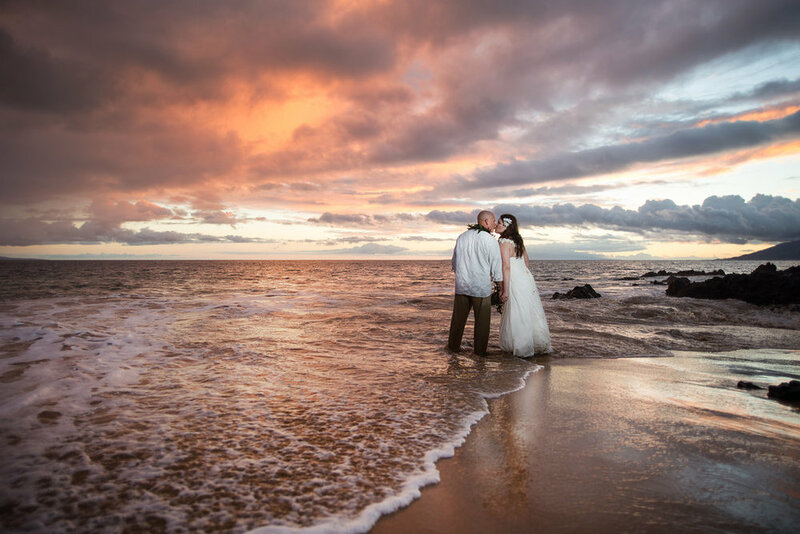 Capturing every precious moment for newlyweds is Gordon's life's work and he is devoted to his couple's by continually sharpening his photographic skills. A graduate of the Salt Lake College in Utah, majoring in their renowned Visual Art and Design Program with a Photography emphasis. Brandon Vincent marries his own brand of technical perfection to Gordon’s unique tropical wedding styling to create beautiful wedding photographs. 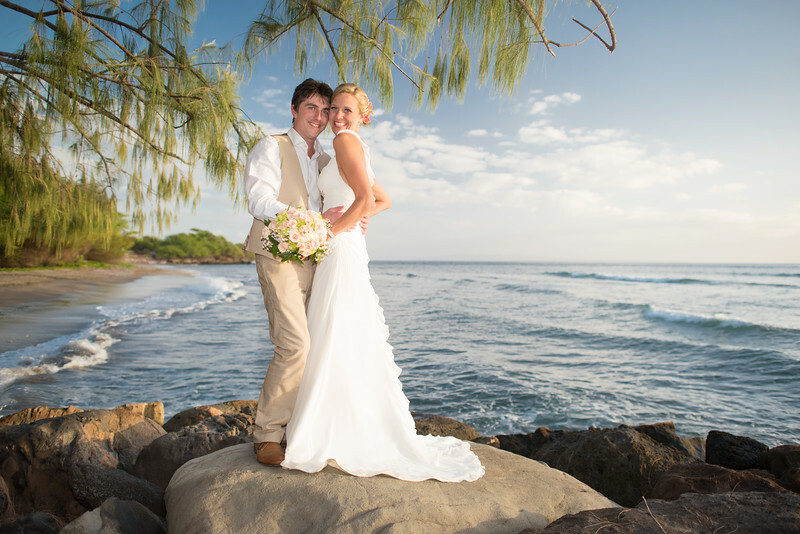 Brandon started working with Gordon in 2016 after falling in love with weddings on Maui, starting with his own to his lovely wife Cassie! Following his love of nature photography up and down the west coast, Brandon honed his artistic eye. Once here on Maui, it didn’t take him long to learn most of Maui’s most breathtaking hiking trails and snorkeling spots. His appealing low-key and laid-back personality helps his couples relax and enjoy their wedding day photo shoots. Photographer Branden Sequeira is an accomplished photographer who has been working with A Paradise Dream Wedding since 2006. 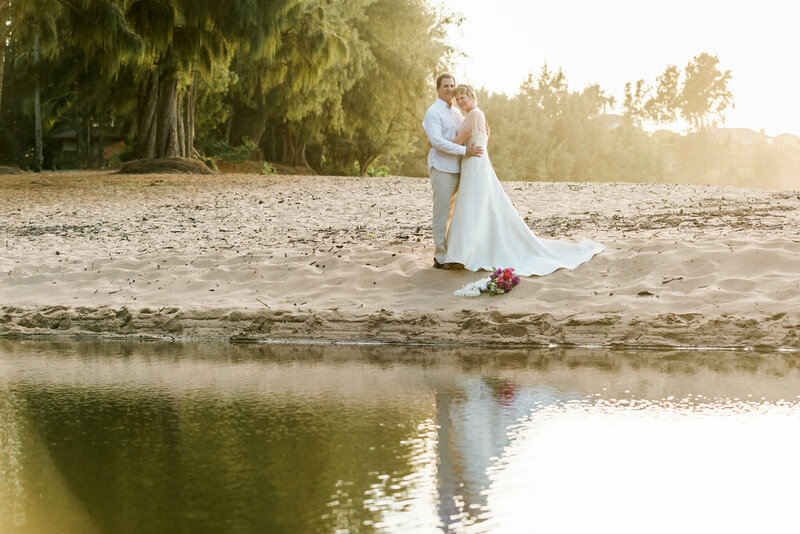 This makes him the first of our Maui Wedding Company's photographers to start photographing weddings with Gordon Nash, but his experience did not start there. Before moving to Maui he spent 6 years shooting happy couples on their wedding day in the spectacular countryside of Yosemite National Park in California. With his involvement in hundreds of weddings, Branden is a well seasoned professional, capable of capturing creative and memorable photos in any situation. Whether on a tropical, breathtaking beach in paradise, a resort or private location.